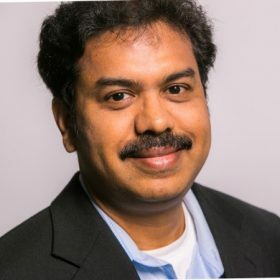 Murali Kashaboina is the founder, CEO & Chief Data Scientist of Entrigna, Inc. Murali brings over 17 years of IT experience in enterprise architecture design, real-time business intelligence and IT application development and strategy. Prior to founding Entrigna, Murali served as the Managing Director of Enterprise Architecture at United Airlines and played a key role in the merger of the United and Continental Airlines enterprise systems. Murali also served as the Lead Architect for United.com and led the architecture & delivery of United’s online booking engine, which was one of the largest initiatives at United Airlines. His deep understanding of the intricacies involved in building real software for real-world business problems and seamlessly enabling them for business use led him to found Entrigna. Murali holds a Masters’ degree in Mechanical Engineering from the University of Dayton, Ohio.